Paramount Gentlemen's Club | Get Closer. 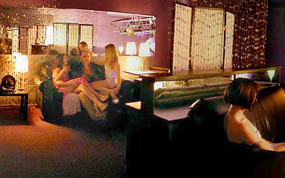 The Paramount is Metro Vancouver’s premiere gentleman’s club and the cities ultimate experience in adult entertainment. We provide our patrons with the highest level of customer service, class and pleasurable diversions. Delight with amusement on our main floor where multiple stages and a nightclub atmosphere provide unsurpassed adult entertainment and non-stop performances. All of our beautiful ladies are available for private dances in the VIP rooms and in the Platinum Room for your viewing pleasure. For those wishing a little more privacy our Platinum Rooms offer a discrete, comfortable opportunity to get away from the crowds and experience all the temptations the club has to offer. We can also arrange for bachelor parties, stags, or large groups. Couples also find the Paramount a comfortable place to experience sensual entertainment at its finest. Whatever your fantasies, bring them to life at The Paramount. So enjoy our website and if you like what you see why not come sample it in the flesh and always remember at The Paramount you……..Get Closer! More dancers work at the Paramount than any other club in the city. At the Paramount Gentleman’s Club you can relax and enjoy the atmosphere, which combines both fantasy and reality. On any given night you will find up to 15 to 30 dancers performing all night long. Our upscale atmosphere and grand dimensions make the Paramount like no other in British Columbia and Canada. Most strip clubs prohibit any form of contact but because of the Paramount’s unique situation you can get a true lap dance. The Paramount is at 652 Columbia Street in New Westminster. Just a short thirty-minute drive from downtown, or an even quicker ride by Skytrain. “Like” us on Facebook so you can stay on top of our updates!